Surf News Network: BELLS BEACH, Victoria/Australia (Tuesday, March 31, 2015) – The second stop on the 2015 Samsung Galaxy World Surf League (WSL) Championship Tour (CT), the Rip Curl Pro Bells Beach gets underway tomorrow with a competitive window of April 1 – 12, 2015. 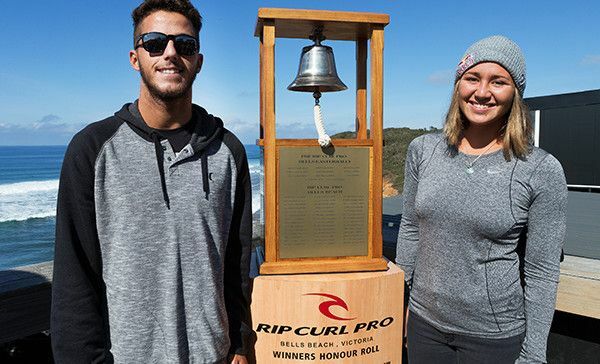 The world’s best male and female surfers will battle the elements and adapt their approaches in hunting for waves, scores and the honor of ringing the coveted Bell. Filipe Toledo (BRA) comes into the Rip Curl Pro Bells Beach as the frontrunner following his sensational maiden CT victory on the Gold Coast. The Brazilian faces Owen Wright (AUS)and compatriot Jadson Andre (BRA) in Round 1 of competition. 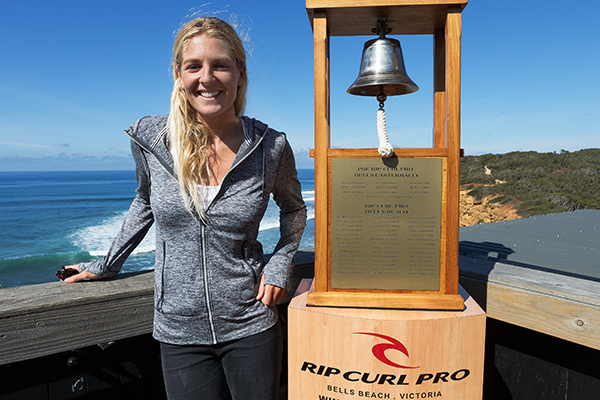 Reigning six- time WSL Champion and three-time Rip Curl Pro Bells Beach winner Stephanie Gilmore (AUS). 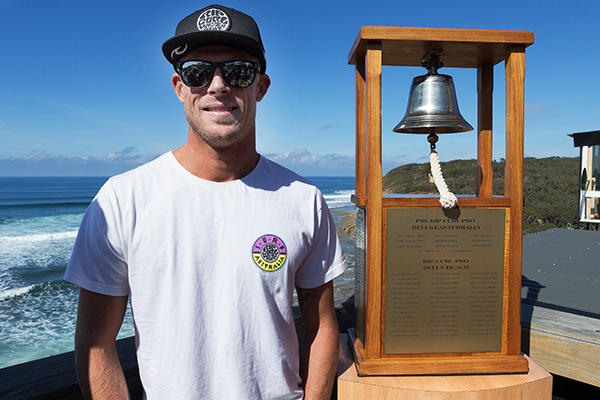 Defending Rip Curl Pro Bells Beach winner Mick Fanning (AUS). SW swell in the chest-head high range will prevail on Wednesday, although on an easing trend through the day. The SW groundswell fades further on Thursday as some shorter period southerly windswell joins in, as well as unfavorable southerly wind. Into the medium and long range, nothing major is currently on the radar, but we could see a series of modest/ contestable SW swells over the weekend and the first part of the new week if a series of storms behave as forecast. More of the same is possible over the final few days of the waiting period. Surfline. Watch the unparalleled adventure, competitive drama and athleticism of professional surfing live at WorldSurfLeague.com.